NEGROMANCER 2.0: Image Comics Announces New Editions of "Age of Bronze"
Image Comics Announces New Editions of "Age of Bronze"
PORTLAND, OR — Eric Shanower (The Wonderful Wizard of Oz, Little Nemo: Return to Slumberland) will release all-new full-color editions of his acclaimed historical fiction series beginning this September with AGE OF BRONZE, VOL. 1: A THOUSAND SHIPS. Helen runs off with Paris. Agamemnon declares war on Troy. Achilles hides among girls. Odysseus goes mad. And that’s only the beginning. 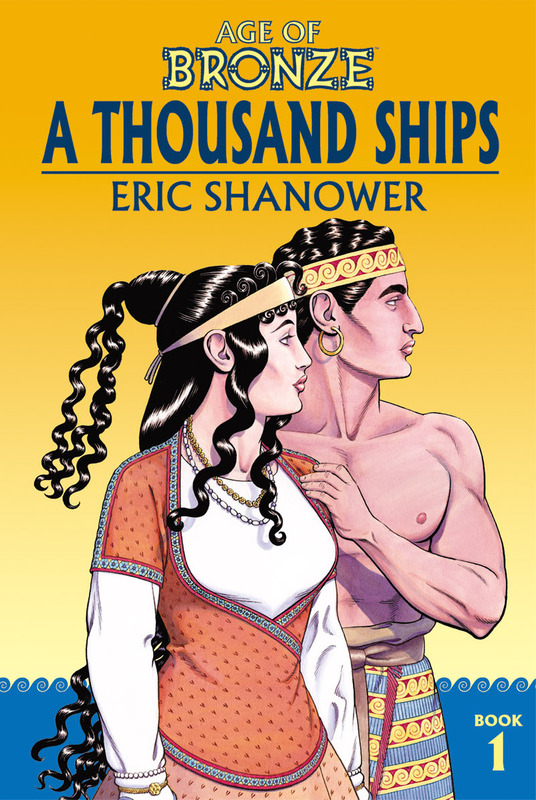 This is the Trojan War like you’ve never seen it before, featuring vibrant colors by Harvey Award-nominated Black Cherry Bombshells creator John Dallaire that lift the politics and passion of Eric Shanower’s work to new heights. AGE OF BRONZE, VOL. 1 (ISBN: 978-1-5343-0829-9, Diamond code: JUN180059) hits comic book stores Wednesday, September 12th, 2018 and bookstores Tuesday, September 18th, 2018. It can be preordered via Amazon, Barnes & Noble, Books-A-Million, Indiebound, and Indigo.